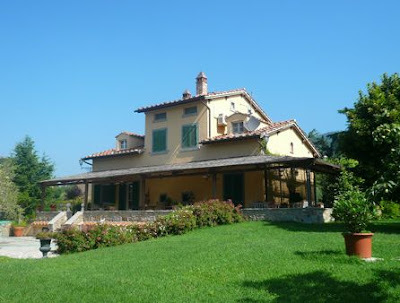 Villa Romolini immobiliare di lusso is situated in one of the most sought after areas of the Umbrian countryside. 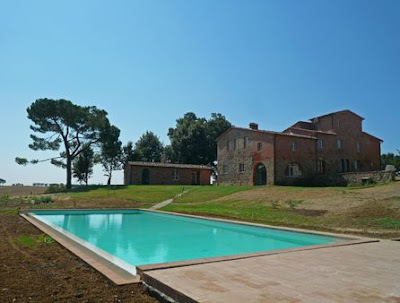 This fully restored farmhouse enjoys some of the most outstanding and unspoiled views of the Niccone Valley incorporating the 14th century castle of St Andrea di Sorbello and the recently restored San Paolo monastery on the Reschio estate. Villa Romolini is a luxury Italian property perfectly positioned for enjoying spectacular sunsets under strategically placed shady pergolas. The building was restored four years ago offering spacious modern living amongst a wealth of original features. the ground floor contains a fitted country kitchen with double dishwashers and large cooker, cosy dining room, walk through pantry, spacious office or study, double bedroom with en-suite shower room and a second en-suite shower room conveniently located for easy access to the pool. The second floor has an elegant double sitting room of 40 square meters with high ceilings and five windows giving plenty of natural light. A typical Umbrian stone fireplace, terracotta floors and old timber beamed ceiling make this room warm and inviting. Each window frames a view worthy of an oil painting. Two double bedrooms share a family bathroom and one bedroom has access to the typical external staircase. All bedrooms, living room and dining room have a wood burning stove as an alternative to the full gas central heatingA glass door off the living room gives private access to stairs to the master suite which occupies the entire upper floor of nearly 50 square meters. Once again the abundance of windows (seven in this suite) gives the natural light that can be so hard to come by in these thick walled structures. The master bathroom has modern fixtures and fittings and gives the opportunity to absorb the outstanding view whilst bathing.A curved edged 10 x 5 heated pool is situated on a lower terrace. 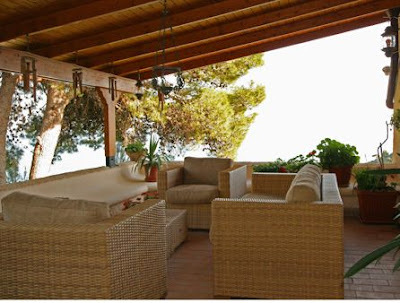 A second pergola for reading with sun shades for pool side relaxation. The pool equipment is located in an underground bunker which is also convenient for storing sun beds and outdoor furniture in the winter. There is an external shower, many mature trees, about 40 olives and a 13,000 litre storage tank to retain water for the house and irrigation. The annex has been re built and houses the water treatment equipment and boiler for the house. For further information go to our site www.abode.it or click on the link above. 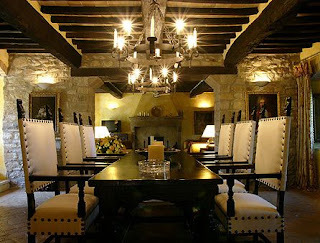 Cortona has always been seen as one the safe places to purchase Italian property. 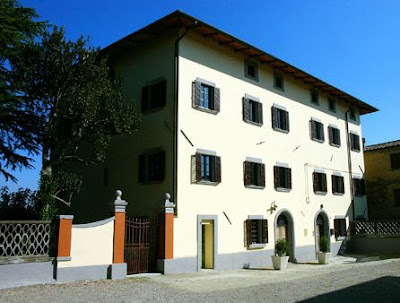 We now have an excellent selection of Cortona villas and town houses For Sale in the Cortona area. From a town house which needs total refurbishment like Casa del Corso to Villa Marina and Villa Fontana. 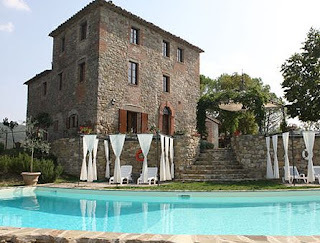 If you're looking for the Cortona area of Tuscany now is the time to start your search. We have a great selection at 2010 prices. If we don't have what your looking for email us and we will find it for you. It's that simple. This elegant villa was built in the nineteenth century in the centre of a big estate, and was the residence of a rich local family. The building is South-facing and enjoys a great view over the countryside, the historic centre of Ascoli Piceno and the hills all around. 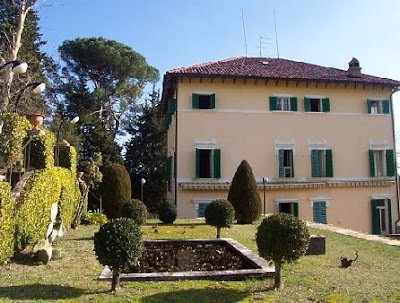 The property is only a few minutes far from Ascoli Piceno and it is accessible via a well The property is only a few minutes far from Ascoli Piceno and it is accessible via a well maintained tarmac road and then through a beautiful tree-lined drive which is the axis of the magnificent Italian garden. The house is set out on four levels.Ground floor: a large corridor with vaulted ceiling leads into the huge living room at the bottom and, at the sides, the kitchens, cellars, storage rooms. Second floor: four bedrooms, each of them with en-suite bathroom and wardrobe. Third floor (attic): further four large bedrooms, all with ensuite bathrooms. 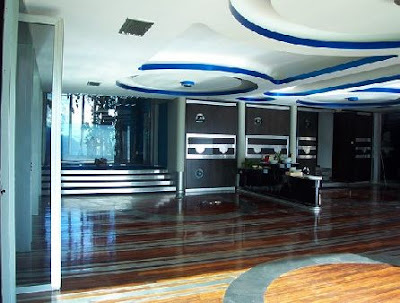 The villa is in very good condition, it has excellent finishings such as fitted carpets, parquet, French wallpaper and valuable fabrics, painted ceilings, double-glass windows. It probably needs new bathrooms since the present ones are a bit old, and revision of the internal systems (plumbing, electrics etc). Externally the house looks very elegant and austere; the garden is very well maintained and enriched with large panoramic terraces and a small private chapel. tarmac road and then through a beautiful tree-lined drive which is the axis of the magnificent Italian garden. The house is set out on four levels.Ground floor: a large corridor with vaulted ceiling leads into the huge living room at the bottom and, at the sides, the kitchens, cellars, storage rooms. Second floor: four bedrooms, each of them with en-suite bathroom and wardrobe. Third floor (attic): further four large bedrooms, all with ensuite bathrooms. The villa is in very good condition, it has excellent finishings such as fitted carpets, parquet, French wallpaper and valuable fabrics, painted ceilings, double-glass windows. It probably needs new bathrooms since the present ones are a bit old, and revision of the internal systems (plumbing, electrics etc). Externally the house looks very elegant and austere; the garden is very well maintained and enriched with large panoramic terraces and a small private chapel. Hi, we are now on Twitter. 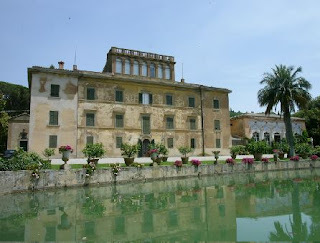 Join us now and find out what is going on with Italian property and news and events in Italy. If you have a twitter account come and join us today. We are always interested in hearing from other twitters. Not a multi-millionaire but want to purchase a dream Italian abode for your holiday destination then Il Pozzale might just fit the bill. 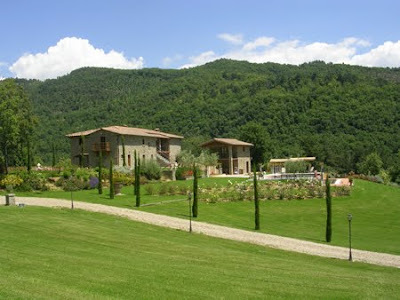 Il Pozzale di Badicorte is a very special residence complex sitting on a hillock and surrounded by the low rolling fields of the Chiana valley. There are three buildings on the complex. 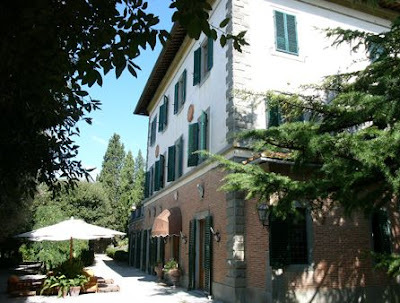 Siena - 116m2, ground floor, 3 double bedrooms, 2 bathrooms, kitchen, dining room and living room with stone fireplace. Castiglion Fiorentino - 125m2, ground floor, 2 double bedrooms, 2 bathrooms, kitchen/dining room and large living room separated by an old brick arch. Monte San Savino - 131m2, first and second floor, 3 double bedrooms, 2 bathrooms, kitchen and open plan living room/dining room. Access via external stairs. Cortona - 137m2, first floor, 3 double bedrooms, 2 bathrooms, kitchen/dining room and living room with fireplace. Roma - 130m2. Kitchen, living room and dining room on the ground floor, 3 bedrooms and 2 bathrooms on the first floor. Firenze - 130m2. Same layout as Roma as a mirror image. There is a one storey cottage adjacent to the main farmhouse building which is an attractive and independent residence of 50m2 with double bedroom, bathroom and open plan kitchen, dining and living room. Each apartment has its own private garden as well as accesds to the communal grounds and the large, shared swimming pool. Each apartment will come with 2 parking spaces. 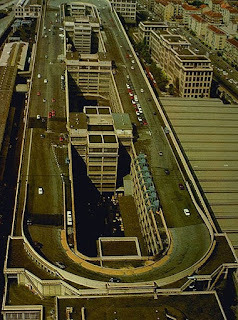 The complex is a stone's throw from the town of Marciano della Chiana and therefore the A1 motorway exit at Monte San Savino. A very attractive area with rolling countryside and pretty villages, but also with exceptional transport links all over Tuscany.